All ingredients are "show safe" and are not currently listed on the USEF or AQHA prohibited substances list. 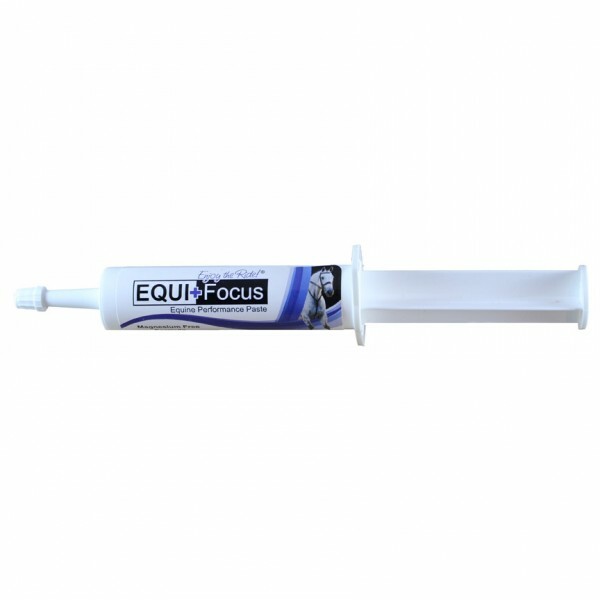 EQUI+Focus does not impede athletic performance and does not cause excessive acid production like many products on the market today. Active Ingredients: Tryptophan, Melatonin, Theanine, Thiamine, Arginine, Leucine, Phenylalanine, Bismuth. Inactive Ingredients: Deionized Water, Maple Flavor, Praline Flavor, Glycerine, Ascorbic Acid, Xanthan Gum, Acesulfame K, Propyl Paraben, Methyl Paraben. 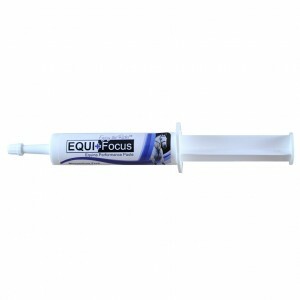 Directions: To Maximize Performance, administer one tube the night before and one tube the morning of performance. Additional tubes may be administered at 24-hour intervals.